The UK Royal Navy has selected iXBlue’s MARINS inertial navigation systems for the Queen Elizabeth-class aircraft carriers (QEC) programme. The MARINS units have already undergone testing to optimise their configuration to meet the specific operational requirements of the aircraft carriers. iXBlue’s general manager, David Cunningham, said the iXBlue-built MARINS features iXBlue’s fiber-optic gyroscope (FOG) technology meets the growing needs of the navies for more accurate and robust inertial navigation systems. "MARINS combines outstanding performance with significant practical advantages," Cunningham said. Each of the two Queen Elizabeth-class aircraft carriers, HMS Queen Elizabeth and HMS Prince Of Wales, will feature two iXBlue MARINS units onboard the bridge system. "Significantly, MARINS can be integrated with a wide range of other sensors and can provide input to advanced bridge, weapon and other systems," Cunningham continued. "MARINS combines outstanding performance with significant practical advantages." The Aircraft Carrier Alliance (ACA), a joint venture between Babcock Thales, BAE Systems and the UK Ministry of Defence (MoD), is constructing the two Queen Elizabeth-class aircraft carriers. Powered by two Rolls-Royce Marine 36MW MT30 gas turbine alternators, the carriers each can accommodate a crew of 1,200, including an aircrew of 600. 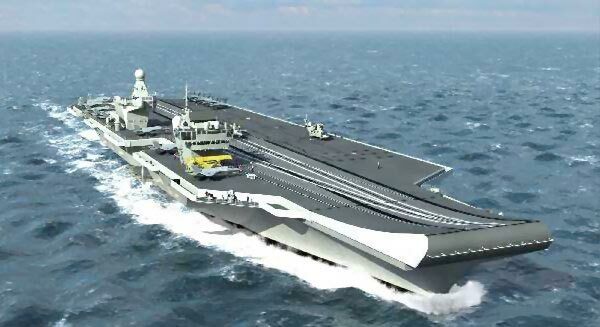 Queen Elizabeth-class carriers will have a full-load displacement capacity of 65,000t, an operational range of 10,000nm and can carry up to 40 aircraft. HMS Queen Elizabeth and HMS Prince Of Wales are expected to be operational with the Royal Navy in 2016 and 2018 respectively, replacing the Invincible-class vessels. The MARINS units have also been selected for the Royal Navy’s Astute-class nuclear submarines as well as for the French Navy’s Cassard-class anti-aircraft vessels. Image: Illustration of Royal Navy’s Queen Elizabeth-class aircraft carrier. Photo: file image.